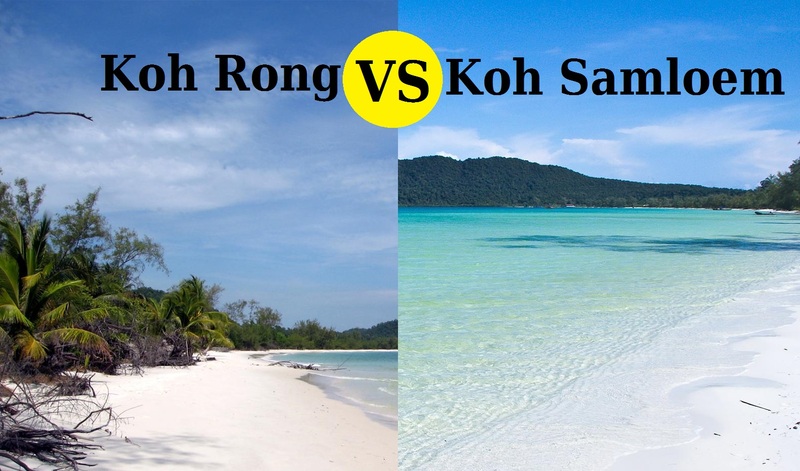 Song Saa private island has been part of the Koh Rong archipelago forever, but it wasn’t until a little more than a decade ago that it had the chance of being turned from a deserted island into the beautiful destination that it is today. The current owners, Mel and Rory, were in the middle of a year long hiatus from work when they stumbled upon the two islands that make up Song Saa private island. They were on an old fishing boat made from wood, and they simply rowed around the islands of the Koh Rong archipelago, as they made discoveries and slept under the stars in the nighttime skies. They loved spending quality time on the tranquil beaches of many of the islands, but their favorite island of them all was Song Saa private island. This was the last island that they visited, and when they arrived, they found a miniscule fishing village that had exactly one family as residents. Mel and Rory ate a meal with them and were completely shocked when the family asked them if they would be interested in purchasing the island. The price was fifteen thousand dollars, in US currency, which was quite low for any destination in the world! They brought the money to the family just one week later, and they were then the proud owners of not only that island, but the one right next to it. The journey to where they are today was not easy, as it took three years to persuade the Cambodian government to grant them a ninety-nine-year lease. Plus, they had to decide what to do with the islands, clean them up, and beef up the island’s economy, so that they could earn a living while they lived there. Their initials plans, complete with investors, tanked with the economy downturn, as well as Mel’s cancer diagnosis. However, once Mel was given the all clear with her health and told that she would live for a long time, both her and Rory chose to return to their islands and start building their dream once again. 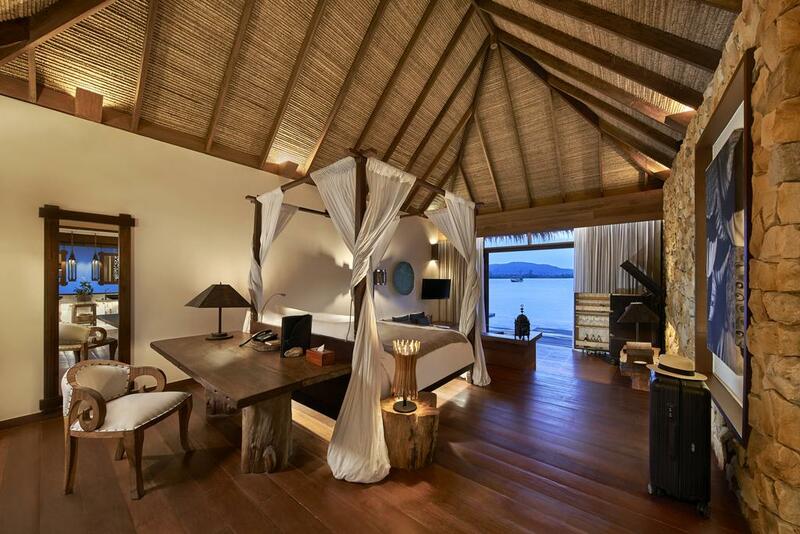 The hotel that is standing on Song Saa private island now is the one that they finished constructing a mere eighteen months after their return in February of 2019. Once the hotel was constructed, their new goal was to make sure that everyone who arrived on Song Saa private island enjoyed the natural beauty and adventures that could be found there as much as they did when they first arrived all those years ago. 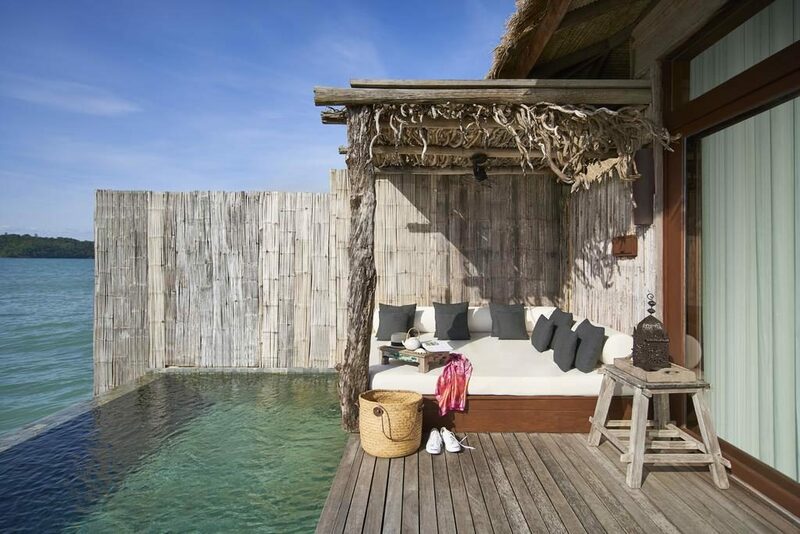 Travelers who arrive on Song Saa private island will stay at Mel and Rory’s Song Saa Resort, which is comprised of multiple private villas that are surrounded by either the lush green jungle of the island or the sparkling water of the ocean. 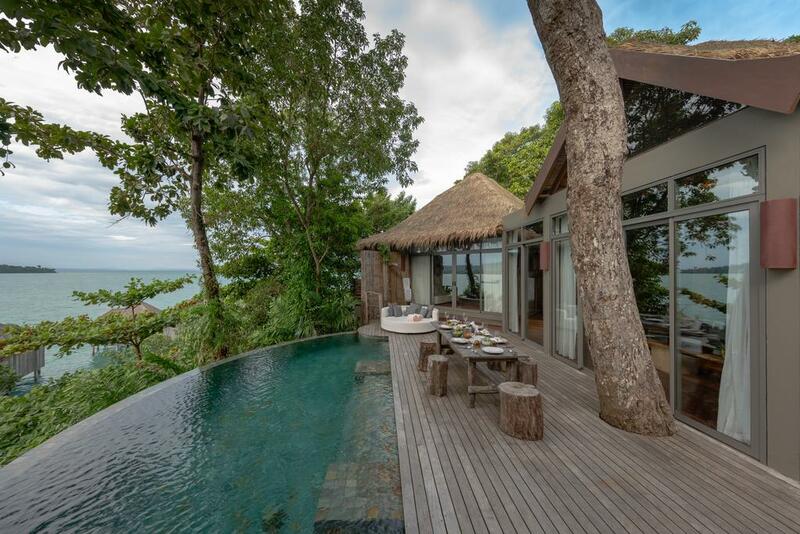 Each villa has their own deck complete with daybed, outdoor rain shower, a private pool, and spectacular views that seem to go on for miles. Some people think that they may be bored on an island, but that couldn’t be further from the truth on Song Saa private island. Guests are presented with a plethora of activities that they can do during their visit and that is all on top of simply sitting on the beach relaxing in the sand under the warm sun. A few of the more popular activities that guests can choose from include Cambodian cooking classes, meditation, a Buddhist blessing ceremony, and even a long tail boat cruise to Sala Song Saa, which is a local village. Guests can even participate in numerous water sports that include paddleboarding, kayaking, snorkeling, scuba diving, and more. Most guests feel like they need to stay on one of the islands and that it isn’t possible to get to the second one. However, there is a footbridge that everyone can walk across, so that they can see the beauty from both sides. While people may not hike when they are on Song Saa private island, they will definitely find themselves wandering around, discovering little treasures everywhere that they look. 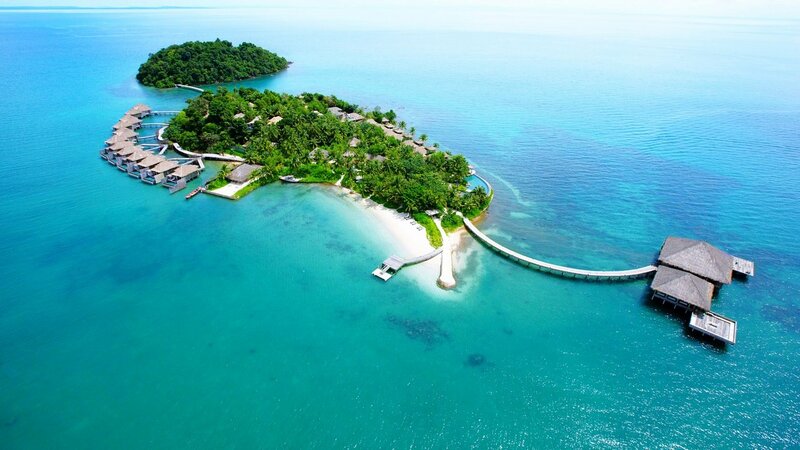 Those visiting Song Saa private island will find that they can choose from two different restaurants for their meals. The Vista Overwater Restaurant and Lounge offers three meals a day with both western and Cambodian cuisine options. The Driftwood Bar and Kitchen is mainly open for lunch, when guests do not want to leave the sand of the beaches, and just want to grab a few tapas or a delicious pizza or two. Almost every guest loves how they can order food to enjoy somewhere other than the restaurants though, and that is why so many people can be seen enjoying their food on the beach, by the pool, in their villa, or some other romantic destination on the island. There is not a spa per se on Song Saa private island, but the Song Saa Sanctuaries offers numerous treatment options in little coves and other areas out in nature. Every guest will want to choose the treatment that will fit their needs the best, and those who are unsure of what they need can seek the advice of the spa staff. They are all well-versed in each treatment and can easily find the perfect treatment, whether it is a Khmer massage, a chakra clearing night spa ritual, or one of the many other options that leave people relaxed and wanting more. 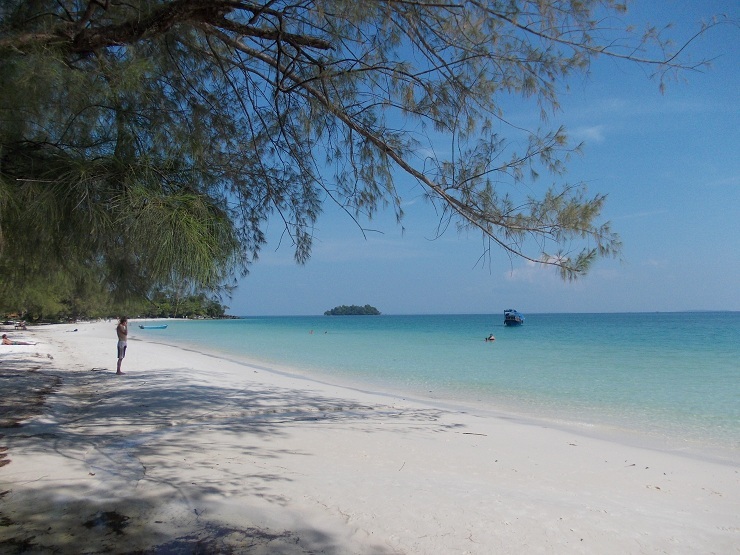 Song Saa private island may be in the middle of nowhere, but it is only a short thirty to forty-minute speedboat ride from Sihanoukville. The waters can be rough on the journey over, but the breathtaking views and experiences on the island make the waves all worthwhile! Song Saa private island has their own speedboat that makes the journey twice a day, but guests can also arrange for private boat rides as well as a helicopter ride too. Both of those options will ensure that everyone arrives at the island the way that they want and in the time frame that works best for them. 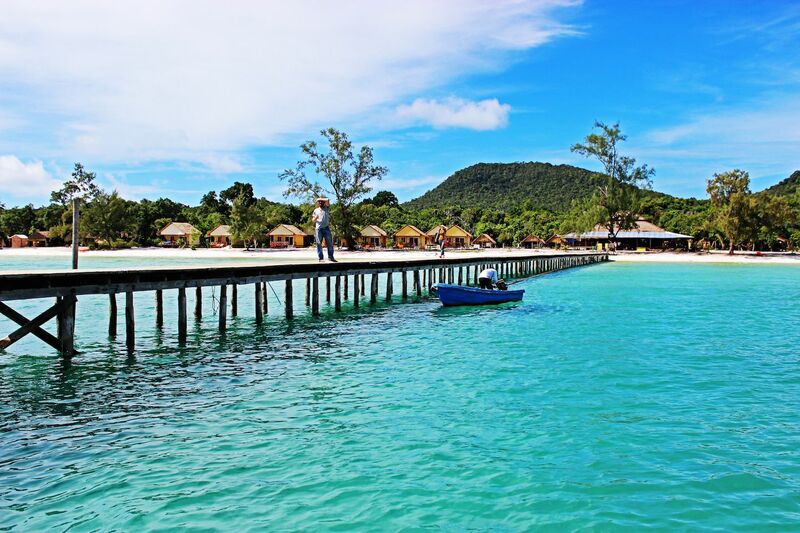 Those who have never been to Song Saa private island will want to book their journey soon, before too many people discover the beauty of this spectacular island.